Trump renews the opioid crisis emergency even as an opioid commission member calls it "a sham," things are looking up for Michigan marijuana legalizers, the French parliament will take up drug decriminalization, and more. 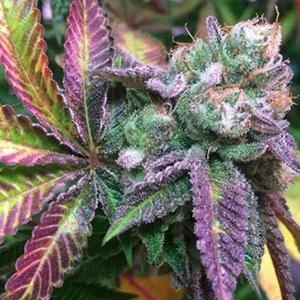 Michigan Poll Has Strong Support for Legalization. A new Detroit News-Local 4 poll finds that 56.6% of respondents support a marijuana legalization initiative that is likely to be on the November ballot. The initiative from the Michigan Coalition to Regulate Marijuana Like Alcohol has already handed in signatures and is awaiting verification of signature validity by state officials. Congressional Budget Deal Retains Protections for State Legal Medical Marijuana. The short-term budget deal approved by Congress Monday retains the Rohrabacher-Blumenauer amendment, which bars the Justice Department from using its funds to go after medical marijuana patients and operations in states where it is legal. But the continuing budget resolution is only in effect until February 8. Indiana Senate Panel Advances CBD Bill. The Senate Corrections and Criminal Law Committee voted 7-2 Tuesday to approve Senate Bill 52, which would legalize CBD cannabis oil containing less than 0.3% THC. The state already has a CBD law, but that law is limited to epilepsy patients who are registered with the state. This bill would open up CBD use to anyone with a medical conditions. New Jersey Governor Orders Review of State's "Constrained" Medical Marijuana Program. Gov. Phil Murphy (D) Tuesday ordered a 60-day review of the state's medical marijuana program, which he called "constrained." He said he would consider allowing home deliveries, allowing purchases beyond the current two-ounce limit, and expanding the number of dispensaries, but he did not mention expanding the list of qualifying medical conditions. Trump Administration Extends Opioid Emergency. The Trump administration has announced a 90-day extension of its declared opioid crisis emergency. The emergency was set to expire Tuesday. But the administration has done little to demonstrate it takes the crisis seriously. It has allocated no new funds, failed to launch a public awareness campaign, and has left key drug policy positions unfilled. Trump's Opioid Commission is a "Sham," Member Says. 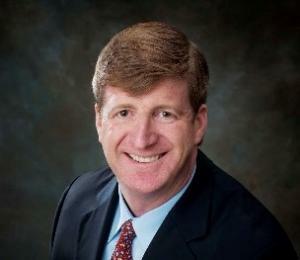 Former Democratic Rep. Patrick Kennedy has called the commission "a sham" and "a charade" in an interview with CNN. "This and the administration's other efforts to address the epidemic are tantamount to reshuffling chairs on the Titanic," said Kennedy. "The emergency declaration has accomplished little because there's no funding behind it. You can't expect to stem the tide of a public health crisis that is claiming over 64,000 lives per year without putting your money where your mouth is." Nebraska Bill Would Require Drug Tests for Unemployment Benefits. State Sen. Joni Albrecht (R-Thurston) has filed Legislative Bill 712, which would allow some people seeking unemployment benefits to be drug tested. Failure to take or pass a drug test would make the person ineligible for benefits until he or she passes the drug test. Albrecht said she filed the bill on behalf of employers who want a drug-free work force. The bill got a hearing Monday, but no action was taken. South Dakota Bill Would Require Drug Tests for Lawmakers. State Rep. Tim Goodwin (R-Rapid City) has filed a bill, House Bill 133, that would require all legislators to undergo drug tests within two weeks of being sworn into office. A positive drug test or a refusal would be reported to the presiding officer of the lawmaker's chamber for discipline. The move comes as the legislature ponders harsher penalties for meth offenses, and Goodwin said Tuesday that if lawmakers want to send people to prison for "a long period of time, we should all be clean ourself [sic]." France Parliamentary Report Recommends Decriminalizing All Drug Use. A new parliamentary report is recommending a pair of options for modernizing the country's drug laws, including the decriminalization of drug use and possession. One proposal calls for fining drug possessors and charging them with a crime if they don't pay the fine. The other proposal calls for drug use and possession to be downgraded to a civil offense ("la contravention"), with fines, but no possibility of a criminal charge. Parliament will now have to decide which approach it wants to take. Russian Presidential Candidate Calls for Marijuana Legalization. Presidential candidate and former reality TV star Ksenia Sobchak is calling for the legalization of marijuana. She said legalizing weed could help solve "the narcotics epidemic" in the country. "I myself don't use it, but I don't drink vodka by the bottle, either," she told state-run RIA Novosti news agency. "I don't really understand why drinking vodka in enormous quantities is considered normal in our country, but using marijuana is not, though it has far fewer consequences, even from the perspective of crime statistics," she added. The folks behind Ohio's 2015 "monopoly" marijuana legalization are back with details on their proposed "free market" 2018 initiative, Denver gets its first marijuana social club application, the Justice Department ends its deferred prosecution agreement with HSBC bank over drug cartel money laundering, and more. 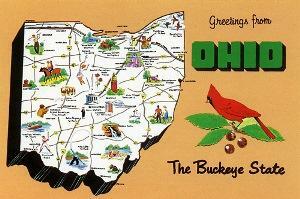 First Look at Proposed Ohio Legalization Initiative. The two men behind Ohio's failed 2015 marijuana legalization "monopoly" initiative held a press conference Monday outlining their proposed 2018 initiative. Unlike the 2015 initiative, next year's version would be a "free market" approach, there would be a local option to ban pot businesses, public smoking of marijuana would not be allowed, businesses would have to stay 500 from schools and churches, and individuals would have the right to grow their own (although landlords could forbid tenants from doing so). Organizers said they plan to submit their initiative to state officials next month. Denver Gets First Marijuana Social Club Application. A business that wants to allow on-site vaping and consumption of marijuana edibles has become the first to apply for a marijuana social club license. 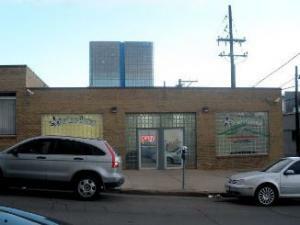 Denver residents voted to allow such businesses when they approved Initiative 300 last year. The Coffee Joint next faces a public hearing, but has already won the backing of its local neighborhood association. 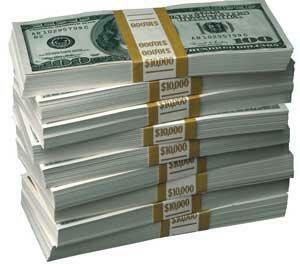 Justice Department Closes File on HSBC Drug Money Laundering. The Department of Justice will end its deferred prosecution agreement with HSBC, Europe's largest bank, after five years, marking the end of its punishment of the bank for laundering hundreds of millions of dollars in Mexican drug cartel funds. DOJ hit HSBC with a $1.9 billion fine and imposed the five-year deal in 2012, demanding that HSBC strengthen its sanctions and anti-money laundering programs, which it has now apparently done. No one has faced criminal charges in the case. Canada Federal Government, Provinces Reach Agreement on Marijuana Taxes. Canada's federal government and the provinces have agreed in principle on a two-year tax sharing agreement that would give provinces 75% of the eventual revenues. The federal Liberals have proposed a 10% excise tax on marijuana products and had originally proposed splitting the money 50-50, but have now retreated in the face of loudly-voiced provincial concerns that they would bear most of the burden of legalization-related costs. There's more money in legal weed than even the analysts thought, BC will let 19-year-olds buy pot, Peruvian coca planting was up last year, and more. Retail Pot Sales Will Hit $10 Billion This Year, Report Says. A new report from the Arcview Market Research group says North American marijuana sales are growing faster than expected and should hit the $10 billion mark this year. And next year could see even faster growth with both California and Canada set to become legal marketplaces next year. Arcview said it now expects the legal marijuana market to hit $24.5 billion by 2021. British Columbia Lays Out Pot Rules, Will Allow Sales to 19-Year-Olds. BC became the latest Canadian province to roll out proposed rules for looming legal marijuana, announcing that it will allow sales through a mix of government and private stores and that it will allow people 19 and over to possess and purchase marijuana. The province has not yet finalized other issues, such as whether online sales will be allowed and whether existing shops would be able to apply for licenses. Those decisions are expected next month. Paraguay Congress Approves Medical Marijuana Planting. The congress passed a bill Tuesday that creates a state-sponsored system to import marijuana seeds and grow crops for medicinal uses. The move comes half a year after the congress approved the importation of cannabis oil, but patients and advocates had complained about problems with access. The bill still needs to be signed into law, but that is expected given that the government supports the bill. Peruvian Coca Planting Jumped Last Year. The area planted with coca grew by 9% in 2016, the UN Office on Drugs and Crime said Tuesday. Coca cultivation covered about 110,000 acres. Coca cultivation in Colombia, Peru's chief competitor, was at more than 360,000 acres, although that could be a blip related to producer incentives linked to the peace agreement between the FARC and the government. Philippines President Orders National Police Back to Drug War Operations. President Rodrigo Duterte has ordered the National Police to rejoin anti-drug operations. He had pulled them off the brutal crackdown on drug users and sellers in October, weeks before he hosted a summit of world leaders, including US President Donald Trump. This is the second time Duterte has pulled the National Police from the job and then reinstated them; the first time was in January, amidst public outrage over the killing of a South Korean businessman. The wildfires raging through Northern California's Wine Country these past weeks have killed at least 41 people, left dozens missing, and thousands burned out of their homes. They have also put a significant hurt on the region's namesake wine industry, and its up-and-coming country cousin, the weed business. As of this week, more than 5,000 structures had gone up in flames, including whole neighborhoods in Santa Rosa, a city of 175,000 about an hour north of San Francisco. Tens of thousands of people endured mandatory evacuations as smoke turned skies grey as far south as San Jose. Vineyards and wineries along the Silverado Trail in Napa County and the Highway 12 corridor between Santa Rosa and Sonoma in Sonoma County have been destroyed or damaged. Wine Country towns like Kenwood and Glen Ellen have been hard hit. Major tourist hotels like the Hilton Sonoma Wine Country and the Fountaingrove Inn in Santa Rosa have burned. At least one Silverado Trail winery, Signorello Estates, appears to have been destroyed, while damage reports are pending on others. Similarly, Sonoma County wineries including Chateau St. Jean, Kenwood, Kunde and B.R. Cohn, were endangered Tuesday. "It looks like a bombing run," winemaker Joe Nielsen told the San Francisco Chronicle as he viewed what was left of Donelan Family Wines. "Just chimneys and burnt out cars and cooked trees." 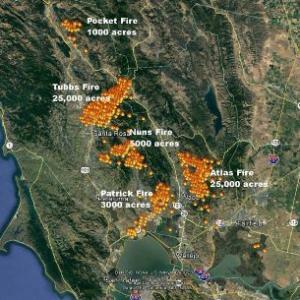 The Wine Country devastation will have an impact not only on tourism, but also on the price of some fine reds. While 75% of the region's grapes have already been picked, premium merlot and cabernet sauvignon crops are mostly still on the vines. The number of wineries burned or threatened could cause shortages of these prized grapes for years, since California produces about 85% of American wine, and Napa and Sonoma counties produce the bulk of its premium wines. The same temperature Mediterranean climate that makes the area so suitable for grape growing makes it ideal for pot farming, too, and Sonoma County's estimated 3,000 to 9,000 marijuana growers have been hard-hit, as well. While damage reports for the wine industry will take a while, pot people are already reporting losses in the tens of millions of dollars. The marijuana harvest begins a bit later than the grape harvest, and when the fires reared up, thousands and thousands of outdoor marijuana plants were still in the ground. Now, some of those fields are little more than ash, including in neighboring Mendocino County, where the Redwood Valley fire is burning up pot crops, too. This is shaping up to be "the worst year on record for California's growers," California Growers' Association head Hezekiah Allen told SFGate last week, adding that at least two dozen members had lost their entire farms. "This is going to leave a deep scar," he said. "I had one conversation today where the family was in tears, saying, 'We don't know how we're going to make it to January, let alone next planting season.'" Sonoma County Growers Alliance chair Tawnie Logan reported significant losses among her membership. "We have a lot of people who have lost their farms in the last 36 hours, and their homes," she said last week, citing a $2 million greenhouse crop that went up in smoke on the first night of the fires. "There's no way for them to recover the millions in anticipated revenue they just lost," she said. "It's gone. It's ashes." The San Francisco dispensary SPARC reported that while it had suffered "some pretty substantial damage" at its farm in Glen Ellen, it was preparing Tuesday to try to salvage some of its crop. The Sonoma County Cannabis Company also was also hit hard -- and working frantically to avoid a total wipeout. "There are no words right now to describe the loss, the heart break and the trauma that our beloved home and community is going through," the company posted to its Instagram account. "We are trying to save what we can." While the losses could put a dent in the county's multi-hundred million dollar pot industry, consumers are unlikely to notice any impact. The state already grows so much marijuana that downward pressures are already keeping prices low, and even the losses incurred in this week's fires aren't going to shake the market. But unlike the wine industry, marijuana growers are unlikely to be able to obtain insurance to replace lost crops and facilities. Those pot farmers who took losses are going to be feeling the pain for a good while. The Bay State's highest court just made it harder for cops to charge people with marijuana-impaired driving, Las Vegas-area county commissioners put a stop to talk of pot lounges anytime soon, Colombia's president speaks out against the drug war (again) at the United Nations, and more. Massachusetts Court Rules Drivers' Field Sobriety Tests Not Valid for Marijuana. The state's Supreme Judicial Court ruled Tuesday that the field sobriety tests used in drunk driving cases cannot be used as conclusive evidence that a driver was driving high. Police officers could testify as non-expert witnesses about how drivers performed in the field sobriety tests, but cannot tell juries if a driver passed or failed the test, nor provide their own opinions about whether a driver was too high to drive, the court held. The court noted that there is no reliable scientific measure for marijuana impairment, as there is with blood alcohol content. Nevada's Clark County Says Not So Fast to Las Vegas Pot Lounges. Clark County commissioners are in no hurry to give an okay for marijuana social consumption clubs in Las Vegas. In a Tuesday meeting, they voted 6-1 to hold off on moving to allow and regulate such clubs. The move comes after attorneys for the state legislature issued an opinion saying there is no state law prohibiting the establishment of pot social clubs. Commissioners said they had regulatory concerns, as well as fears of "inviting the feds" to intervene. Utah Poll has Very Strong Support for Medical Marijuana Initiative. A proposed medical marijuana initiative from the Utah Patients Coalition has supermajority levels of support, according to a new UtahPolicy.com poll. The poll has support for the initiative at 74%, with only 22% opposed. More strikingly, it also has support among Mormon Church members at 63%, even the Mormon leadership has announced its opposition. The initiative push comes after the legislature has repeatedly refused to pass a medical marijuana bill. Detroit Initiatives Qualify for November Ballot. Two local ballot measures that would open up business opportunities for medical marijuana in the city will go before voters in November. One measure would formally have the city join the state medical marijuana regulatory system and the other would amend the city's cannabis business zoning laws. The two measures overcame a challenge from the Detroit Elections Commission and have now been approved by the county election commission. Colombian President Uses UN Speech to Call for New Approach to Drugs. President Juan Manuel Santos used the occasion of his final speech before the United Nations to repeat his call for a change in the way the world wages the war on drugs. Saying that under drug prohibition, "the remedy has been worse than the disease," he argued that the drug war "has not been won, nor is being won and we require new approaches and new strategies." Santos' remarks came just days after President Trump criticized Colombia for an increase in coca and cocaine production and threatened to decertify the country as cooperating with US drug war aims. What got into Orrin Hatch? Plus, Nevada could be the first state to allow pot lounges, the US Deputy AG says DOJ is still pondering marijuana policy, and more. Deputy Attorney General Says DOJ Still Reviewing Marijuana Policy. In an appearance at the conservative Heritage Foundation Thursday, Deputy Attorney General Rod Rosenstein said the department was still looking at its options on marijuana policy. "We are reviewing that policy. We haven't changed it, but we are reviewing it. We're looking at the states that have legalized or decriminalized marijuana, trying to evaluate what the impact is," he said in remarks reported by Tom Angell for Forbes. "And I think there is some pretty significant evidence that marijuana turns out to be more harmful than a lot of people anticipated, and it's more difficult to regulate than I think was contemplated ideally by some of those states," he said. Maine Draft Legalization Bill Would Let Dispensaries, Caregivers Sell to Recreational Market. The bill legislators have drafted to rewrite the state's voter-approved pot legalization law includes a provision that would let the state's eight licensed medical marijuana dispensaries apply for a license to sell in the recreational market. But they would have to have separate entrances and sales counters for medical and recreational customers. State-certified caregivers could also apply for recreational sales licenses. Nevada Regulators Clear Way for Pot Clubs and Lounges. The state Legislative Counsel Bureau said on Monday that state law does not prohibit counties or municipalities from allowing clubs or lounges where patrons can use marijuana. It's up to the localities, the bureau said. Doing so would allow tourists and visitors to have a place to indulge. While pot is legal in the state, it cannot be consumed in public, in casinos, or in hotel rooms, leaving visitors with no place to take advantage of the pot law. Arizona Supreme Court Won't Let State Officials Use Federal Law to Get Around State Law. The high court on Tuesday declined to review a Court of Appeals ruling that federal law does not trump the state's voter-approved medical marijuana law. The lower court had ruled that even though marijuana remains illegal federally, federal law does not preempt the state from allowing patients to use it. The case had been filed by recalcitrant Maricopa County Bill Montgomery (R), who didn't want to heed the will of the voters. As the summer doldrums draw to an end, it's pretty quiet on the drug reform front, but the political battle continues to rage over marijuana legalization, and more. LEAP Petition Supporting Booker Legalization Bill Needs More Signatures. A Change.org petition sponsored by LEAP (Law Enforcement Action Partnership, formerly Law Enforcement Against Prohibition) is now fewer than 4,000 signatures away from its goal of 50,000 signatures. The petition, which is aimed at the House and Senate, calls on representatives to support Sen. Corey Booker's (D-NJ) pot legalization bill, the Marijuana Justice Act (Senate Bill 1689). Click on the petition link to add your signature. 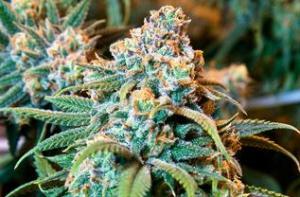 Anti-Pot Group Calls on Feds to "Systematically Shut Down" the Legal Marijuana Industry. Smart Approaches to Marijuana (SAM) has sent a report, "The Cole Memo: 4 Years Later," to US Attorney General Jeff Sessions urging him to "systematically shut down" the marijuana business in states where it is legal. SAM urged targeting big players in the industry and recommended that Sessions "take measured action to successfully protect public health and safety." In a Wednesday conference call reported by The Cannabist, SAM leader Kevin Sabet went even further: "We do not want individuals prosecuted -- we want the industry to be accountable. This industry -- starting from the top -- should be systematically shut down," he said. Nevada Liquor Distributors Lose Appeal on Marijuana Transport Rules. The state Tax Commission voted unanimously Tuesday to uphold a Tax Department decision allowing companies other than alcohol distributors to seek marijuana distribution licenses. Liquor distributors had argued they had exclusive rights to transport marijuana from grows to retail shops, but state regulators said the liquor distributors were unable to keep up with demand. 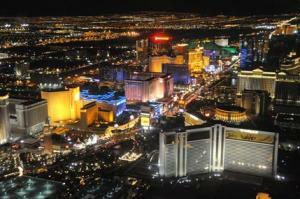 The Independent Alcohol Distributors of Nevada have not yet said whether they would appeal the decision. A bipartisan group of congressmen call on the attorney general to quit being an obstacle to medical marijuana research, the Colorado governor defends the state's pot law from Sessions, the Minnesota governor just says no to legalization, and more. Colorado Governor the Latest to Stick Up for Legalization. Gov. John Hickenlooper (D) and Attorney General Cynthia Coffman (R) sent a letter Thursday to US Attorney General Jeff Sessions in response to a critical letter they received from him about the state's marijuana legalization. In the letter, they defended legalization, saying the state's laws and regulations are "effective" and detailing statistics they said buttressed their case. "The State of Colorado has worked diligently to implement the will of our citizens and build a comprehensive regulatory and enforcement system that prioritizes public safety and public health," the letter said. "When abuses and unintended consequences materialize, the state has acted quickly to address any resulting harms. While our system has proven to be effective, we are constantly evaluating and seeking to strengthen our approach to regulation and enforcement." Minnesota Governor Just Says No to Marijuana Legalization. Gov. Mark Dayton (DFL) said Thursday marijuana legalization wouldn't happen on his watch. Responding to an audience question during an interview at the state fair, Dayton listed problems related to drug abuse, although he concentrated on opioids, and said legalizing pot would send a bad signal. "If somebody wants to use marijuana, go visit California or Colorado," Dayton continued. "But don't bring it back here. But I don't see it improving the quality of life of those societies." Nevada Gaming Commission Just Says No to Marijuana Anything. In a meeting Thursday, the state Gaming Commission made clear that there is no place for marijuana in the gambling industry as long as it remains federally illegal. Commissioners agreed that businesses holding gaming licenses should not host events promoting the use, cultivation, or sale of marijuana, nor should licensees maintain business relationships with pot companies, even landlord-tenant relationships. The commission didn't even get to the issue of pot smoking, whether by guests in casino hotel rooms or by employees. Those and more issues will be dealt with in coming meetings of the commission. Federal Lawmakers Tell Sessions to Stop Blocking Marijuana Research. Two Republican and two Democratic congressmen have sent a letter to Attorney General Jeff Sessions telling him to quit using the Justice Department to block medical marijuana research. In the letter first reported by MassRoots and signed by Reps. Earl Blumenauer (D-OR), Matt Gaetz (R-FL), Jared Polis (D-CO), and Dana Rohrabacher (R-CA), the congressmen referenced a recent report that Justice was blocking the DEA from moving forward on applications from scientists to cultivate marijuana for research purposes. Instead of delaying the application process, the congressmen wrote, "we encourage you to proceed with rapidity on the DEA's permitting process, as we believe it is in keeping with President Trump's campaign promises, and the best interests of the American people." Marijuana is already a multi-billion dollar a year business in California, and with recreational sales to adults coming online next year, it's about to get even bigger. Now, the legal pot industry is beginning to throw its weight around in state office-level politics, and it's doing it the old-fashioned way: with a checkbook. Fundraising for the 2018 gubernatorial campaign is already well underway, and according to a recent Los Angeles Times analysis of campaign contributions, Lt. Gov. Gavin Newsom is running away with the cannabis cash. Pot growers, retailers, and others in the industry have donated more than $300,000, swamping industry contributions to his Democratic competitors, former Los Angeles Mayor Antonio Villaraigosa ($5,000) and Treasurer John Chiang ($100). That means that Newsom has hoovered up around 98% of pot industry contributions in the Democratic race for the nomination so far. There's a reason for that -- actually a couple of reasons. First, the charismatic former San Francisco mayor has been a key player in the state's path toward full legalization, just as he was an early supporter of gay marriage. One of the first state-level officials to come out for freeing the weed, he has used his largely ceremonial position as lieutenant governor to champion the cause, creating a blue-ribbon commission and holding public hearings to develop policy to support what would ultimately become Prop 64, the legalization initiative approved by voters last fall. He's earned some political goodwill from the pot people. 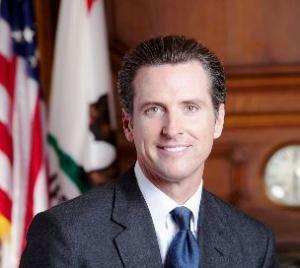 "The fundraising dinner for Gavin Newsom in Salinas was in most ways a typical night for a political candidate. Local business leaders paid up to $5,000 for a chance to talk with the man aiming to be California's next governor over cauliflower bisque, strip steak and Meyer lemon pudding cake... The hosts... were in the agriculture business... [b]ut they left their signature dish off the menu: candy infused with marijuana." There is a lot at stake for the marijuana industry. 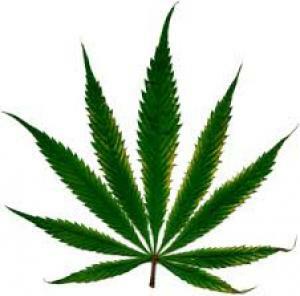 Regulatory and tax policies for the new legalization regime are being developed now. As both wielder of the veto pen over legislation and head of the executive branch that will implement legalization, whoever the next governor is, he or she will be a critical player making decisions that will help decide who makes a fortune and who doesn't. And that worries Hezekiah Allen, executive director of the California Growers Association, which represents small growers in Northern California's traditional pot-growing Emerald Triangle. He told the Times the money to Newsom is coming from large enterprises and wealthy individuals seeking to cut out the ma-and-pa growers who paved the way. "There are fierce and cutthroat business practices coming," he said. "We're pushing to keep craft growers in business." The $300,000 raised so far by the pot industry is only a small part of Newsom's $14 million campaign war chest, but it's more than raised by any agricultural sector in the state, and it's a clear sign of pot's increasing political clout. But with legalization already won -- at least on the state level -- that clout is going to be focused on who benefits and how. Why Are Pot Shops Mainly in Poor Neighborhoods? Recreational marijuana retail sales outlets are disproportionately located in poor neighborhoods. That's what the industry journal Marijuana Business Daily found when it recently analyzed the their distribution in two of the first major cities to host legal pot shops. In Seattle, the Daily found that 40% of pot shops were in zip codes where the average income was in the bottom 25th percentile. In Denver, the trend was even more pronounced, with nearly 45% of the stores located in the poorest neighborhoods. Those zip codes account for 26% of the population in Seattle and 27% in Denver, so it's not that retailers are simply going where the people are. And there's no evidence it's some nefarious plot to target poor residents for stupefaction. So what's behind the trend? According to the Daily, part of the answer is the initial reluctance by property owners to get involved with a business still federally illegal. And landlords with properties in middle- or upper-class neighborhoods could appeal to more upscale tenants outside the marijuana business, leaving tenant-hungry property owners in poorer areas more amendable to filling vacancies even with more potential risky businesses. "That's where the retail space was available," cannabis entrepreneur and Dank dispensary owner Greg Gamet told the Daily. "Landlords had a hard time renting properties in these areas previously… they're more apt to rent these when there's no renters." And poorer areas were cheaper and easier to do business in. Where times are tough, the flame of NIMBYism flickers less brightly. Low-income neighborhoods generally didn't protest the arrival of pot shops, which meant jobs and economic development, and they didn't place as many regulatory hurdles as more well-off areas. Low-income neighborhoods also mean lower rents. And lower rents meant higher profit margins compared to pot shops in tonier parts of town, a critical factor in consolidating one's position in the early days of the highly competitive legal weed business. But the phenomenon of pot stores being overrepresented in poor neighborhoods may prove ephemeral, in part because of the very economic success of the shopkeepers and in part because the stigma around marijuana is eroding and the revenue flows are enticing, even for hard-eyed businessmen with valuable real estate assets. "Moving forward," the Daily predicts, "major cities in markets that legalized recreational marijuana after Colorado and Washington state -- like Boston and Portland, Oregon -- are less likely to see clusters of retail marijuana stores in low-income neighborhoods."